Two knots and a tarp... — Colter Co. I've put a lot of thought and trial into wilderness shelter building. I love lean-to shelters and wickiups and debris shelters, but the truth is they take a lot of time and even more energy. And there are just going to be some terrains where they are not feasible. That doesn't mean my boys and I haven't made them and enjoyed every minute of it. But in a pinch it's hard to beat a quick tarp shelter. In this video I show how to teach kids one of the quickest ways to put up a shelter and it only takes two knots and a tarp. This is the first in a series of videos I'll be doing about teaching kids essential outdoor skills. I'd love to hear what you are teaching your kids and what you want them to learn! Please leave a comment to let me know. When I teach my kids a new knot we always tie it several times in a row. Then in a hour we tie it again. Then the next day we tie it again. The absolute best way to make them permanent in your mind is to practice. That's why I created the Colter Co. Know Your Knots practice rope kit. Two high quality climbing ropes make knot tying a pleasure and makes the learning process easier. The knot guide comes in the form of one of our Know Your Knot bandanas. 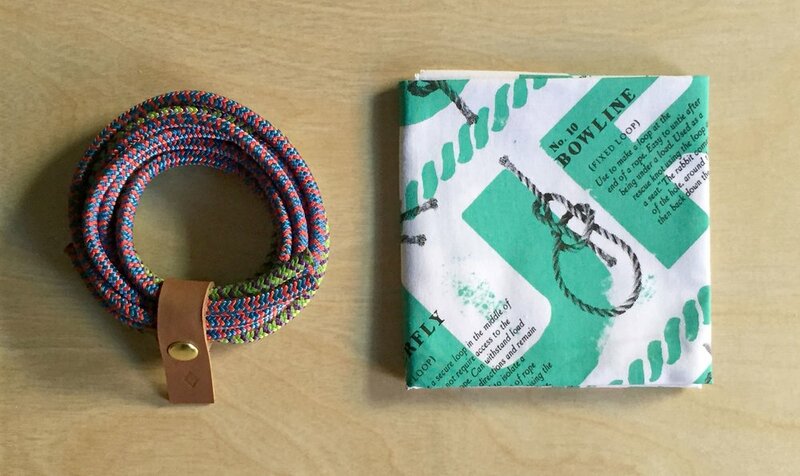 It has 16 essential knots AND serves all the purposes of a bandana at the same time. If you've got a young one picking up the skill of knot tying, this is a good way to get them excited and help them make their skills permanent.